Created in 1965, it's THE go-to product for pregnant women, thanks to an invigorating formula made entirely of plant extracts. 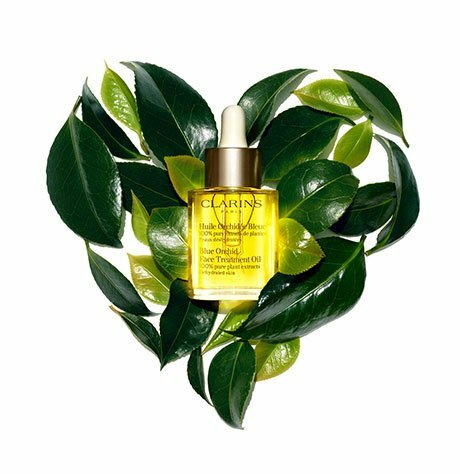 Firming body treatment oil, formulated with 100% pure plant extracts, creates a total feeling of wellbeing. 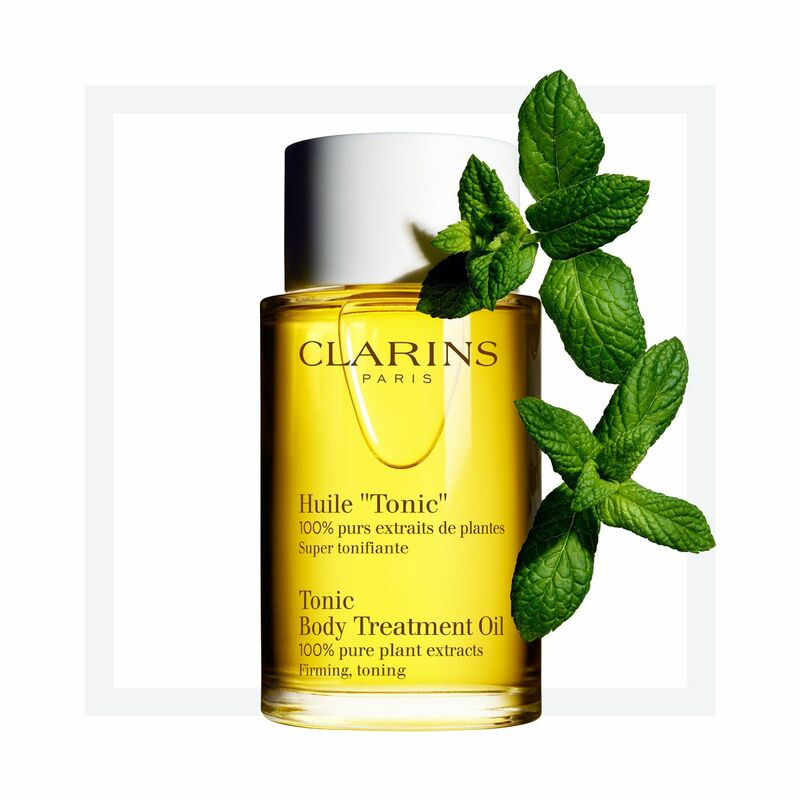 An aromatic blend of essential oils—including Geranium, Mint, and Rosemary—visibly firms, tones and improves elasticity, reducing the appearance of stretch marks caused by pregnancy and weight loss. Hazelnut oil, rich in Omega 9 and Vitamin E, locks in moisture to smooth skin from shoulders to toes. Fine, lightweight formula absorbs instantly. Massage a small amount onto dry or damp skin with light sweeping motions—moving upward from ankles to waist. Concentrate on areas of concern: waist, hips, thighs, buttocks, arms. Rinse with cool water. Recommended for use during pregnancy. Rated 5 out of 5 by Personal Trainer Sandy from Just the best As a personal trainer, having had the ability of working with clients of various ages, I have recommended this product to mothers with decades old stretchmarks and have seen absolute removal. I, myself, have used this product since my early years as a teenager to remove marks from my knees and legs with raving results. Not only does this product works for marks, it's also great as a moisturizer for leather handbags, cuticles and dry skin! Regardless of price, this oil is a must-do for beauty for perpetuity! Rated 5 out of 5 by Wkkchicago from Pregnancy I’m kind of baffled by the negative reviews I just saw for using this in pregnancy. I used it religiously for my second and third trimester, and I never saw a stretch mark. Even after pregnancy I had some left in a bottle so kept using it for my shrinking belly until it was gone. People always say stretch marks are about genetics and age - so I wonder with a person’s review where the second pregnancy she got stretch marks how much older she was? Just a thought! For me this worked for number one so I’m using again for number two. Rated 5 out of 5 by Twinmomma from Mom of Twins Amazing product... used it from the moment I found out I was pregnant. Applied all over belly, hips and buttocks... gained over 80 pounds...only stretch marks are underneath near c section scar... minimal in my opinion...my ob asked what i was using...you know its a winner then!! Rated 3 out of 5 by susieg from not best value but lovely I am sorry but although the oil is lovely, albeit not amazing and not really sure if best to put on in shower when wet, but I was really disappointed about how expensive this was (and how little the bottle was) compared to another oil I have used for years. I actually poured it into an empty bottle of the other brand (because I didn't want glass in my shower!) and it barely filled up 1/3 of the way. So if you have money to burn, no problem, but I like value as well as a good product, which I usually find with clarins products, but not this one. Rated 2 out of 5 by HealthyMommy from ALMOST WORKED I really enjoyed using this product throughout most of my pregnancy and thought that I was home free... until the last two weeks before my due date. No actual stretch marks but now I have sagging skin around my belly button. I am not prone to stretch marks, I only gained 30 pounds, and live a very organic & healthy lifestyle. I lost all the baby weight and workout but still have sagging & thin skin on my tummy. Rated 1 out of 5 by Kaylaor from DONT BUY!!!! I bought this for my second pregnancy due to good reviews . With my 1st pregnancy NOT one single strech mark,i used bio oil and cocoabutter. Second pregnancy i used this for strech marks thinking id be better than bio oil because of the price.Guess what ? covered in horrible red strech marks and the weight gain was less than my weight 1st pregnancy. Save urself Some money and use bio oil or palmers oil.!! Rated 5 out of 5 by queenmerry from Excellent for pregnancy! I am prone to stretch marks. I have them on my hips and breasts. I was told by a rather insensitive dermatologist that if I ever got pregnant, my stomach would likely come out looking like a roadmap. My first child was born 8 years ago, and during that pregnancy, I used this oil. I kept myself slathered in it and didn't have a lot of the belly itching my friends always described. I also didn't get any stretch marks. I thought it might be a fluke since I had her at 33 weeks, and I didn't get incredibly big. I carried my second child to 39 weeks and 6 days. He was an 8.5 pound boy. Same thing--used this oil nightly after my shower and didn't get any stretch marks. I used the same routine recently with pregnancy #3 (and I'm 41). I gave birth to a 7 pound 2 ounce baby--no stretch marks. I'm a total believer in this stuff. Some folks find the smell a bit strong, but I've grown to love it over the years. I'm using the oil now, postpartum on my stomach and thighs because I like the way it makes my skin feel. This stuff is absolutely amazing!